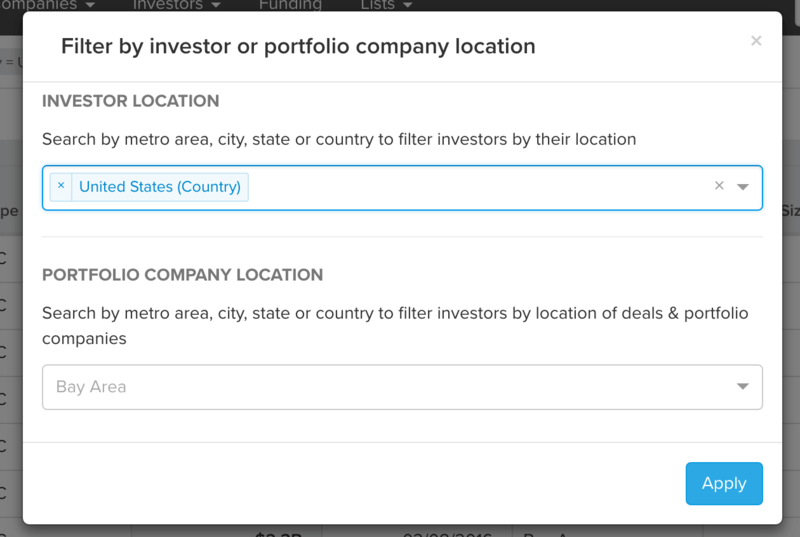 Mattermark tracks 20,000 global venture funds, angel investors, and accelerator programs. I loved to see Shai Goldman publish his list of VCs who lead seed deals in NYC startups and strongly feel that this kind of list can save founders a TON of time in their fundraising process. Investors can get value from this too as they think about their downstream and upstream partners, either to refer deals in (upstream) or to invest further in their portfolio companies at a later stage (downstream). Before Mattermark, a lot of this research and tracking took place in Excel spreadsheets with VC partners and their associates manually compiling information as new funding announcements went out in the news. Thanks to powerful web crawling and machine learning technology investors can spend more time on their analysis and less time on the data collection itself. 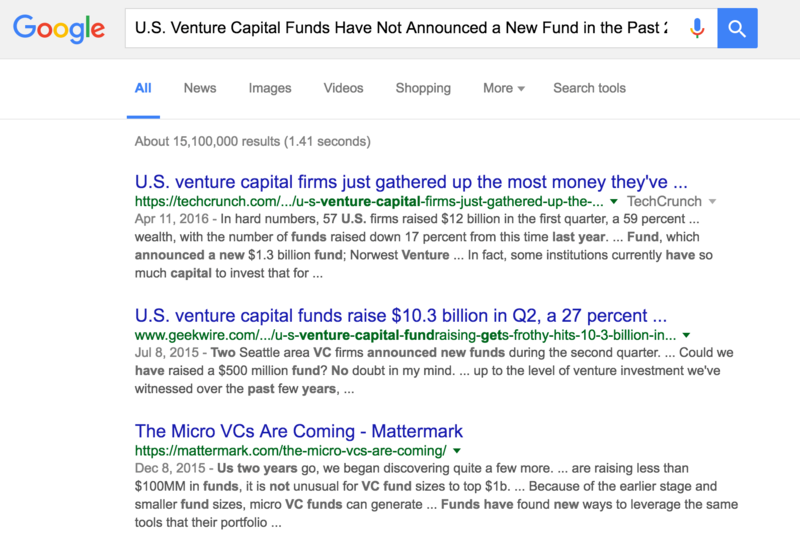 An Example: Which U.S. Venture Capital Funds Have Not Announced a New Fund in the Past 2+ Years? To get a sense of how useful this can be, let’s find all the venture capital funds that have not raised a new fund in the past two or more years. Why might we care? Because these are the funds that may not have the capital left to write you a check, and they are also the most likely to be raising new money right now. It well known in the VC industry, but perhaps less obvious to those outside, that seed and venture capital funds have a 12-18 month fundraising process and find themselves back in the market for their next fund every 3 years or so. Although these funds are designed to last 10 years, the majority of the investing activity happens in the first 36 months after the fund is closed. This means startup investors are constantly cultivating relationships with existing and potential LPs, and looking to understand who they are up against what the most successful fundraising profile looks like. 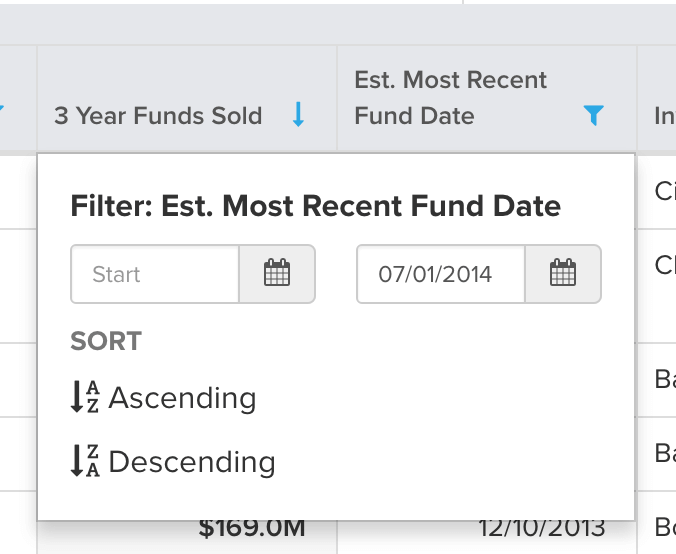 Applying just these two filters cuts the list down from nearly 20,000 to just 157 funds (click this link to view the exact search results).